Authors: Wang, M., Ng, K.K.S., Cherney, M.M., Chan, L., Yannopoulos, C.G., Bedard, J., Morin, N., Nguyen-Ba, N., Alaoui-Ismaili, M.H., Bethell, R.C., James, M.N.G. Authors: Varghese, J.N., Colman, P.M. 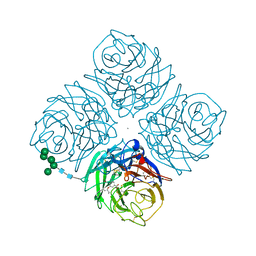 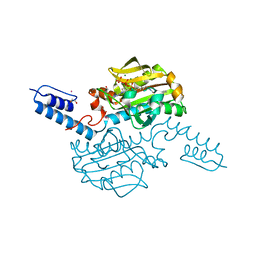 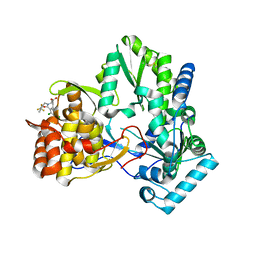 Cite: Three-dimensional structure of the complex of 4-guanidino-Neu5Ac2en and influenza virus neuraminidase. Cite: Drug design against a shifting target: a structural basis for resistance to inhibitors in a variant of influenza virus neuraminidase.